My friend Jenn, fellow stamper and enabler, sent me a link one day to Lili of The Valley Stamps. Of course after perusing the site, I decided to order a few stamps. Well, thanks alot Jenn, I now have another stamp addiction! You know I'll get you back some day on this but I'm sure I enabled you a few times over the years lol!!! I just adore these images and they are so fun to colour! Products used on my card: LOTV Messy Messages, Neenah and Bazzill cs, MME dp, Nestabilities, Memento ink, Copic markers, u/k ribbon and lace, CTMH button, EK border punch, machine stitching and DMC floss. 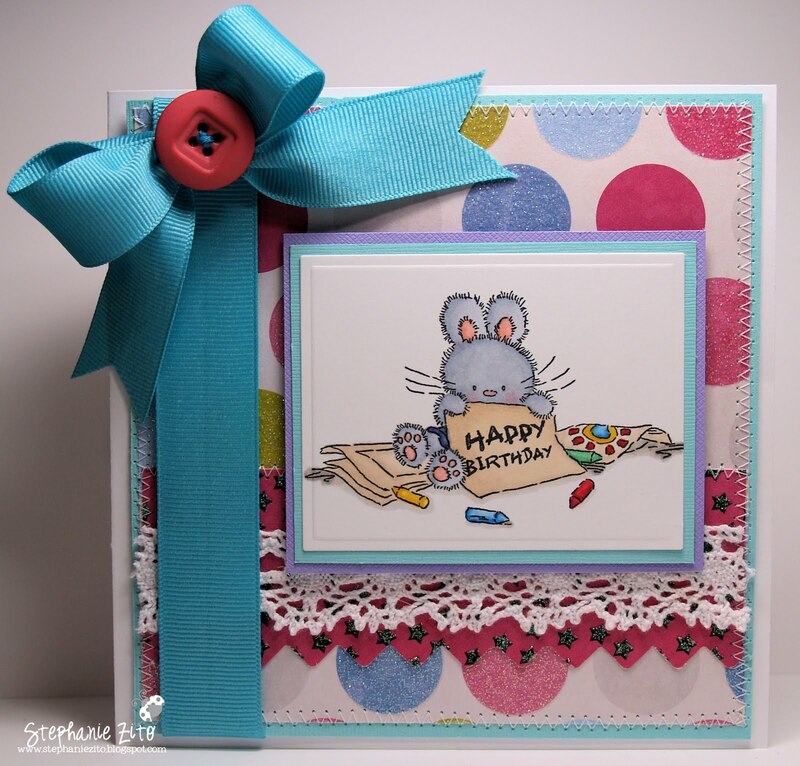 Inspiration for my card came from this weeks challenge #92 at LOTV Challenge Blog, challenge #52 at Wee Memories and challenge #148 at A Spoon Full of Sugar. Super cute! I love the LOTV images I see but haven't broken down and bought any just yet LOL! A FEW TIMES!!!! You are the one to blame for me starting to shop online in the first place (: You are the enabler of all enablers GF!!! You card turned out very cute!!! I love the ribbon and lace. Very pretty!! Beautiful!! Thanks so much for joining us at Wee Memeories this week. How sweet it is! 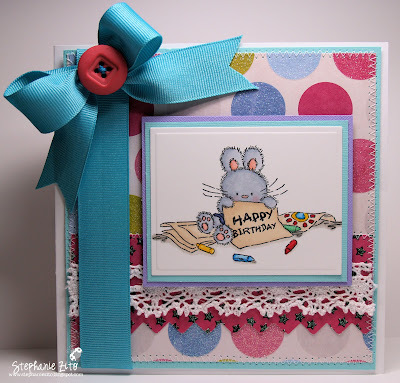 I love the LOTV stamps and your layout is beautiful --- love, love, love that bow! What a darling image. The card is adorable.